The beauty of Uganda is seen in Mgahinga National park where there are Mountain Gorillas, Albertine Rift Endemic Birds. The park conserves the Ugandan part of Virunga Mountain ant its three main parks: Muhavura, Sambinyo and Gahinga. Mgahinga national park was set up in 1930 as the gorilla game sanctuary; the park was afterwards gazetted in 1991 leading to displacement relocation of close by communities. Mgahinga being the smallest national park in Uganda, it makes part of a cross-border system of adjacent reserves in Rwanda and the DRC extending over some 430sq km of the higher Virunga. It is the most stunning in Uganda giving it a panoramic view stretching northward to Bwindi, and a southern skyline dominated by the steep volcanic cones of Virungas, surely one of the most memorable and stirring sights in East Africa. 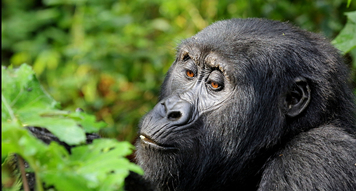 Mgahinga is famously known by tourists for mountain gorillas tracking in the thick jungle. Unusually enough, no gorillas live permanently in the park but a small number move freely between Uganda and the close by Parc National des Volcanoes in Rwanda, and one habituated group ( Nyakagyezi) usually spends months at a stretch within Mgahinga. Gorilla trekking. This is the most thrilling and memorable experience, which might take one trough a thick jungle. About 45 gorillas spend part of the year in Mgahinga moving to and from the close by protected forest in Rwanda and DRC. Unfortunately, the park’s habituated gorillas move from across the volcanic saddle between Muhavura and Mgahinga into Rwanda. You are required to be fit in order to participate in this activity. You are to hike on any of the three volcanic peaks (mountain hikes), and good boots, raingears and warm clothes are recommended. The lowest demanding mountain hikes, six to seven hour round trip from Ntebeko up mount Gahinga, gives a good opportunity to seeing various forest birds in the bamboo zone, while the duikers and bushbuck inhabit the marshy crater at the peak Muhavura trail gives the quickest and shortest ascent route to see the rift valley, Rwenzori Mountains, Lake Edward, other Virunga Volcanoes and multiplicity dramatic plant species. There are on the other hand 3 peaks of Sabyinyo with an ascent taking you to the first peak prior to getting to the second peak a cross a narrow ridge over looking the wonderful droplets on every side of the deep gorges. The 3rd peak can be reached at with the help of a steep and muddy scramble. The nature walks are guided by Batwa guides using their trail from the bottom of Muhavura to Garama cave. It is from this walk that one gets to know the insights into the culture and traditional life of the Batwa people. For caving there is no need of experience all you have are required to have is a torch and spare batteries. 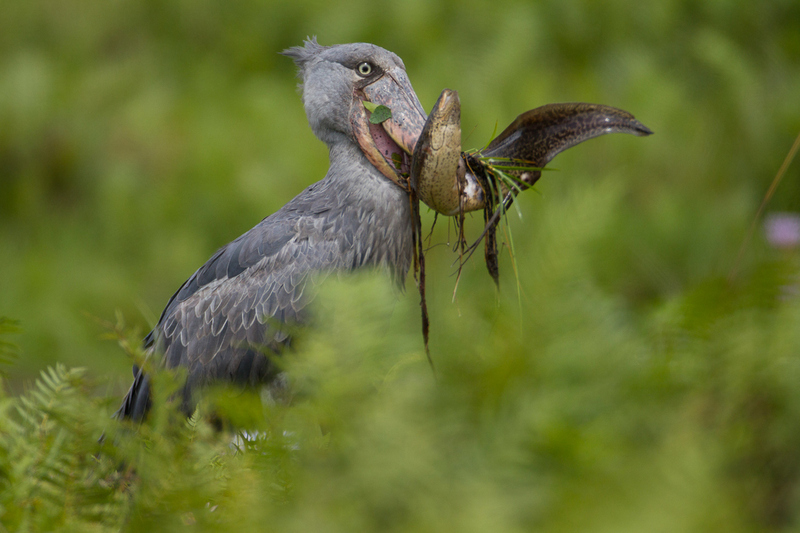 An additional trail takes you to the usual forest animals and birds a long Rugezi swamp, you therefore stand an opportunity of viewing the giant hogs in the late after noon in addition to elephants. Nearer to gorilla trekking is trekking the unique race of the widespread blue monkeys referred to as bamboo-associated texa primates listed as dying out by the wild conservation Union. Endemic to the Albertine Rift, the golden monkey is characterized by a bright Orange-golden body, cheeks and tail, different from its black limbs crown and tail end. The park is situated in the south-western side of Uganda, 540 km from Kampala and 8 hours drive Kabale. Public means to Kisoro and hike up to the park headquarters. Flight arrangements can be organized from EBB or Kajansi Air strip to Kisoro Air strip. Up market and shoestring accommodation is present at the entrance of Ntebeko. For camping and basic cottages in the community camp ground in addition to lodging facilities in Kisoro town.